I’m very lucky this week to be joined by Orkimedes, who is an all-around really nice guy and also a prolific content creator for the Legion community. You can find Orkimedes on his amazingly detailed blog, Never Tell Me the Odds: A Numbers-Based Look at Star Wars Legion, or on the competitive-focused podcast he co-hosts, Notorious Scoundrels Podcast. Orkimedes has written a really wonderful two-part primer on how to build competitive lists from the ground up for Imperial Discipline that is ideal for new or otherwise inexperienced commanders. Part 1 is presented below. Success in Star Wars: Legion begins before you ever hit the table. First, you have to decide what units to bring, and what upgrades to put on them. On Never Tell Me the Odds, we talk a lot about efficiencies. You have 800 points to spend on plastic that goes on your table. You have to use that plastic to do stuff, which usually involves killing bad guys, taking objectives, and preventing said bad guys from taking objectives. Since you only get so much plastic to do that stuff with, you need to make sure what you are taking accomplishes your goals in the most efficient way. After choosing your focus units, you want to fill out your roster with supporting units. These are units that capture objectives, dish out suppression, take fire, and kill stuff. Basically everything else in your list. Make sure every unit has a purpose. Activations are a really hot topic in list building. There isn’t one single number of activations that you “should” have. Most competitive lists have between 9 and 11; Empire can play slightly down compared to Rebels. We’ll talk in more detail about the relative strengths and weaknesses of high and low activation counts. You also want to consider your token mix. A “healthy” token mix is one where you have good activation control, meaning you know roughly what you are likely to pull from your bag, or you don’t care what you pull from your bag. Token mix is why most competitive lists have 5 or 6 corps units; you are stacking the contents of your token bag with one type of token. While building your list you must consider upgrades. I consider heavy weapons upgrades part of the unit itself as they are so integral to the function of trooper units, so I am mostly referring here to things like gear, training, grenade and command upgrades. You want to be very lean and intentional about which upgrades you are taking, because every point matters. There is one overarching requirement as we go through list building. Every card you take has to have a role and a purpose. I can’t stress this enough; every point matters. Make sure you are spending them in ways that are intentional. We’ll build a sample list as we walk through each step. Every list needs a focus or anchor. This a particularly strong unit, or group of units, that forms the centerpiece of your army. Often this is a character, or multiple characters acting together, but it can also be a heavy like an AT-ST, or a group of support units like AT-RTs or Speeder Bikes. Examples of focus units include: Luke, Vader, Palpatine, Superfriends (Han, Leia and Chewie together), Boba Fett, an AT-ST, 3 AT-RTs, 3 Speeder bikes. Note that not all of the characters are listed above. I consider Veers a support unit rather than a focus. I would also consider Han, Leia, or Chewie support units when taking separately, though all three together can form an anchor. Generally you only want one anchor. More complex lists can have more than one, but these lists are difficult to play. Vader and Palpatine together, for example, might make for a thematic master/apprentice duo, but it is a very difficult list to play with minimal objective capping potential and little margin for error. A scalpel is a unit that is fast and has high burst damage, but is fragile when focused. These units can do a lot of work if used properly and well supported. A hammer unit is one that you shove into your opponent’s face and force them to deal with. Often you can push your opponent off the center early in the game, and they may not have enough time or forces in the late game to push back and contest the center. A control unit exercises an extremely high degree of influence and control over a specific part of the battlefield, but may lack the mobility to project their strength over a larger area. Control units are heavily favored on objectives that require you to fight over a specific area of the battlefield, like Intercept Transmissions. 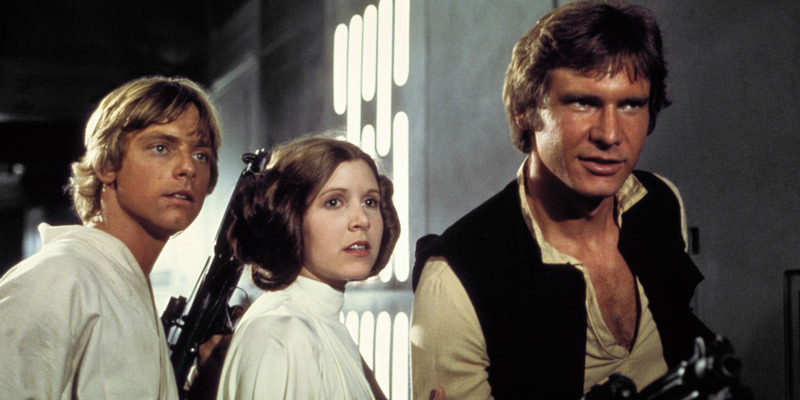 Han/Leia/Chewie are a little bit of a special case, as they don’t fit neatly into any of these three categories. They have elements of all three while not emphasizing any of them in extremes. They aren’t fast enough to be a scalpel, not durable enough to be a hammer, and not strong enough to be a control unit. If I had to put them in one category it would be control, but you absolutely don’t want to be going toe to toe with Vader or Palpatine in a tight area. For our sample Rebel list, I’ll go ahead and choose Luke for my focus unit, for 160 points. I just can’t quit that whiny farm-boy. For our sample Empire list, we’ll start with the Dark Lord of the Sith, Darth Vader, for 200 points. Now that you’ve chosen a focus, you need to fill out the rest of your roster. This is where you are going to spend most of your time. While doing so, you need to keep in mind your token mix and how many activations you want. We’ll hit the important considerations for both of those elements further down below. There are several sub-steps under supporting your focus, starting with building a core. For Rebels, this is going to be Rebel Troopers with Z-6s. Personally, I believe you need at least three of these guys, minimum. Most of my lists run four. Z-6s provide solid ranged 3 fire support and good crit generation, which means they do a decent job of punching hits through cover and tagging armor in a pinch. The white die can be somewhat maddening when they go cold, but you have to embrace the chaos. Rebel Troopers are also cheap, and fairly durable when in cover with a dodge. They do melt when caught in the open though. There is some merit in certain builds to taking one naked Rebel Trooper squad, for objective capping purposes. For our sample Rebel list, I’ll add 4 Z-6 units for 62 points each. This gives us Luke and 4 Z-6s. For Empire, this is going to be Stormtroopers with DLTs. The ultimate jack of all trades corps unit, DLT Storms are cheap, durable, and provide decent firepower along with some Impact damage for those pesky AT-RTs. Unless you are trying something crazy, you probably want at least 3 DLT Storms. You don’t want naked Stormtroopers, generally. 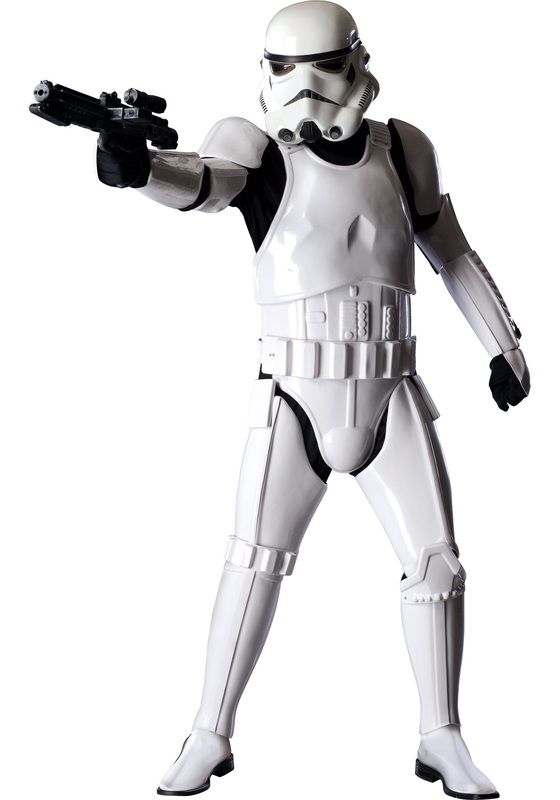 For our sample Empire list, we’ll add five DLT Stormtrooper units at 68 points each. Why take one, when you can take five? Supporting characters aren’t always necessary (if your focus is a commander), but can be integral to supporting your focus and the rest of your dudes. Leia and Veers are prime examples of supporting characters, though I would put Han and Chewie in this category. Obviously if you chose a non-commander as your focus unit, you’ll need one at this point. AT-ST lists want Veers, while AT-RT BBQ lists want Han. Think about what role your supporting character will fill and what benefits they offer your focus and your other units. Veers hands out aims and Inspires; Leia does the same with dodges. Command cards are important here too: do you need a bombard? Do you have high threat units you want to enable with Han’s Reckless Diversion? You can often go with multiple commanders, particularly as Rebels. Choosing Leia to support Luke is the prime example of this, and to this day is probably still the most effective pairing. At the moment I actually think that is the only truly competitive double commander pairing, but I am prepared to be pleasantly surprised by the Las Vegas Open results. For our Rebel lists, we’ll add Leia to support her brother for 90 points. We aren’t going to add a supporting character to the Empire list, because Vader. Close range units are more efficient than long range units, generally. With respect to shredding trooper units, Snowtroopers and Fleet Troopers are without compare in terms of efficiency. However, that close range requires a delivery method, or for your opponent to come to you. I personally prefer to use close assault units as what I like to call linebackers. Basically they hang in your midfield and respond to threats. Fleets and Snows are perfect for this role. Imperial Royal Guard and Wookiees are also excellent linebacker units, being tough, good in melee, and fairly mobile. They are expensive, though. I generally only take one if I take them at all. This is also a good place to think about how your commanders synergize with certain units. Linebacker units are generally hard hitting, and thus are good targets for command abilities. Wookiees are very solid with both Luke and Leia’s two pips, My Ally is the Force and No Time for Sorrows. Imperial Royal Guard are tailor made for Vader and Palpatine, getting good benefit from New Ways to Motivate Them, Pull the Strings, and Entourage. Their Guardian 2 is also invaluable in pulling wounds from your expensive Sith Lords. I would also consider Chewie to be a linebacker unit. I could talk about Chewie all day, but his role is roughly similar to Wookiees, with the added nuance of Guardian and command cards. For our Rebel list, we’ll add some Scattergun Fleets for 67 points and some Wookiees with bowcaster for 110 points. For our Empire list, we’ll add some Snowtroopers with Flametrooper and extra dude for 80 points and some Imperial Royal Guard with Electrostaff for 100 points. Fire support units dish out suppression, throw dice, and project defensive threats over areas of the map. By far the most popular fire support units are sniper strike teams. They are cheap, effective, long ranged, good for your activation count, and versatile. FD Cannons and saboteurs are in a bit of an awkward spot. You really need a good bid and a highly tailored battle deck to get the most out of these heavily defensive units, because you want to make sure you are fighting on your terms. E-webs are similar to the FD Cannon, but slightly more mobile. I firmly believe E-webs are in the “Palpatine only” category, because they are too slow otherwise. You can use Pull the Strings for a valuable first turn reposition. Even then you probably only want one E-web. If you are new and not used to the various fire support options, the advice can be distilled down to this: Rebels, take 2 snipers. Empire, take 2-3 snipers. Call it a day. For our Rebel list, we will add two sniper strike teams for 44 points each. For our Empire list, we will add just one sniper strike team for 44 points. At this point, we have all of our units. You should have your focus, plus a good mix of core, linebacker, and fire support units, as well as possibly a supporting character. Our example Rebel list now has Luke, Leia, four Z-6 units, one Fleet with Scattergun, two snipers, and one Wookiee unit for a total of 10 activations and 763 points. Notice in both of these lists, we are leaving only about 40 points for non-heavy weapon upgrades,which we’ll cover next week. Very good write up. That’s a legit Vader list I would play.